These earrings display a pair of diamond cut hollow tube hoops. They are lightweight, have a comfortable fit and are an ideal size for daily and evening wear. These small hoop earrings are approximately 3/4 of an inch in diameter. 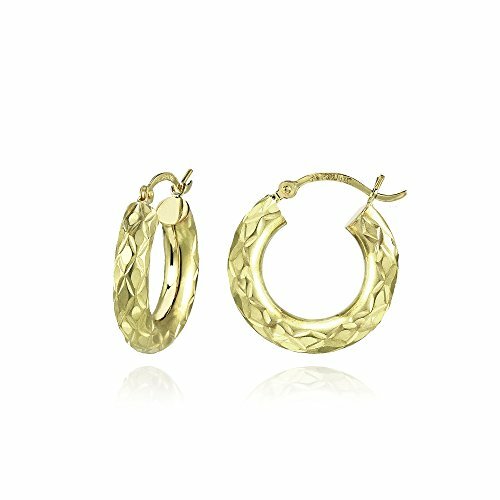 They are high quality fashion earrings, crafted of 14k yellow gold and secure with click-top back findings.